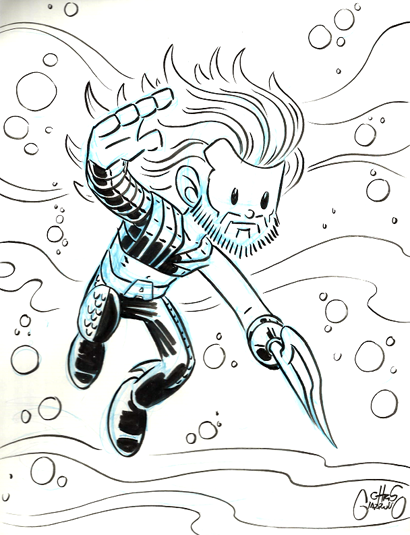 This adorable shot of 90s-era Aquaman is by noted comics artist Chris Giarusso, commissioned by newest F.O.A.M. member Noah Abbe! Great stuff Noah, thanks and welcome to F.O.A.M.! 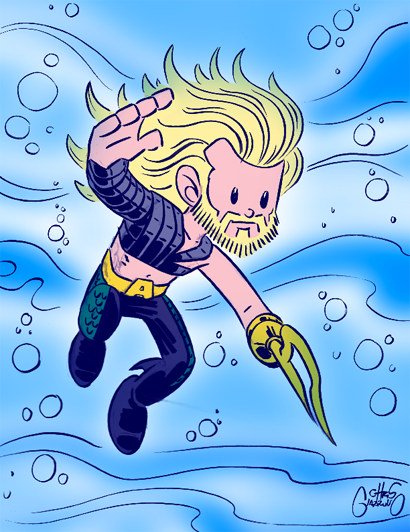 Glad I could contribute something to the Aquaman Shrine! It's awesome to see this drawing on here as well as proudly displayed on my wall. Thanks for including my colored version as well.